The entire field of flat roof can potentially leak and must be sealed using the appropriate Premium Coating System. Care must be taken to prepare the surface by power washing and making any necessary substrate repairs before applying the Premium Coating System. Ponding water conditions can be corrected at this time when applicable. And an attention to detail of all flashings and parapet walls is a must. Commercial metal roofs can be sealed by applying the Premium Coating System over all leak points of the roof. Laps, seams, penetrations, skylights, screw heads and parapets must be sealed. Once the leak points have been properly flashed, the entire roof field is coated with multiple coats of specified product. Proper preparation and priming of rusted areas is very important. Old historic standing seam roofs or commercial roofs in very bad condition should all be evaluated prior to proceeding with al Premium Coating System, often to ensure pre production written acknowledgement from the coating systems manufacturer an adhesion test may need to be conducted prior to notification to proceed with a total system no leak warranty for up to 20 years. Proper preparation and priming of rusted areas with Stable Rust Primer is very important. We have been performing coating applications for over a decade and have never had a claim on a warranty against leaks. Parapets and Copings are part of the roof and are a major source of water intrusion. Water normally enters at the junction of wall and roof. It also enters from the top of the coping. The parapet wall can be completely sealed with the appropriate coating system. We can coat metal parapet walls as well as concrete. These leak points require special attention to detail in flashing. These critical leak points must be well flashed by a well trained applicator completely adept at meeting or exceeding manufacturer’s specifications. Penetrations include any object that protrudes through the roof field. These are leak points and must be well sealed with the appropriate Premium Coating System. Care should be taken to flash at least meet or exceed the coating manufacturer’s specifications. 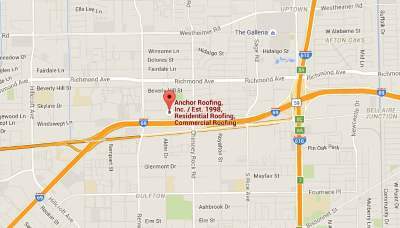 Contact Houston roof leakage repair companies for reconstruction as well as leakage of your roof.